NASA describes a finite habitable zone in our known universe that’s not too hot — and not too cold. Not only is it “just right” for supporting basic life, but it’s an environment that makes it possible to thrive. The business world has a Goldilocks Zone as well, and fortunately, this one isn’t as rare or limited. 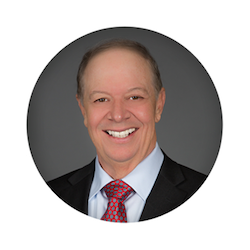 John Manning is author of the book The Disciplined Leader and President of MAP, a general management consulting firm that has helped 170,000 leaders in over 15,000 organizations nationwide create breakthrough outcomes. John helps leaders drive bottom-line results through the unique integration of discipline and accountability. He’s developed a unique recipe for creating a culture of accountability to help any organization thrive. Some leaders fail to create organizational accountability out of fear that people won’t like it — they worry that the new measures will be unpopular or create uncomfortable confrontations. However, John’s years of experience reveal the opposite: people like being held accountable. In terms of accountability, there are three kinds of cultures that organizations will commonly demonstrate. One is too overbearing, one is too lax, and the other one…is just right. So, what’s the difference between an organizational accountability culture that people like, and one they hate? Read on to discover how leaders can strike a balance and create a thriving organization based on positive, powerful accountability. It’s easy to default to one of the accountability cultures that can leave your organization open to vulnerabilities like low trust, low motivation, and absence of loyalty. Fortunately, the leadership within your organization can build new habits from the top down. It all begins by recognizing and acknowledging an imbalance in the way accountability is currently perceived within your organization. According to John, Jail Culture is characterized by high turnover: “You have people who are not empowered and feel like they can’t do anything right.” This results in low motivation — and a revolving door. Conversely, some organizations produce what John calls a “Country Club Culture.” He says family businesses most frequently struggle with this pattern because it can be hard to crack down on employees when you’re related to them. Why? He shares a secret that organizations that hang onto their top talent already know: A-level players want recognition for their work. They also need the balance that comes when lower performing team members are held accountable for their performance as well. The first action item for a leader striving to create an “Organizational Accountability Goldilocks Zone” is to create a system of personal accountability. “It might sound cliché,” John says, but leading by example truly creates more impact than any other style of leadership. In his book, John dedicates an entire chapter to advocating for your team. It’s a big part of creating organizational accountability teams love. “A lot of times, studies will show the emotional ties people have to a brand. And people can have those same ties to a leader,” John shares. When teams love you, they’ll also love holding themselves accountable for you. The Jail Culture of organizational accountability and the Country Club Culture of organizational accountability build their foundations on sand. But leaders who create an experience for their employees that allows them to feel like they’re “in their corner” create trust, loyalty, and build a foundation of organizational accountability on bedrock, says John. It’s time to shed limiting fears related to increasing accountability. Your team is ready to be held accountable, and, according to John’s research, they’re ready to love you for it. As a leader, you’re in a position to shape the culture of your organization, so what are you waiting for? Creating the Goldilocks Zone for your organization — today — is up to you.